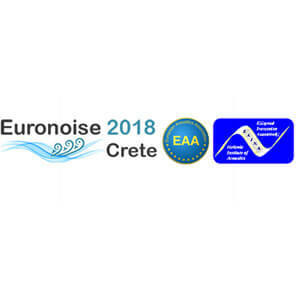 Next year EURONOISE 2018 will be held from 27 to 31 may in Heraklion, Greece. The paper submission system for EURONOISE 2018 is now open. As you know, EURONOISE 2018 is the major Conference on acoustics sponsored by the European Acoustics Association (EAA) in 2018 and covers a broad range of subjects related to acoustics. It is organized by the Hellenic Institute of Acoustics (HELINA) on behalf of EAA.